Rev. 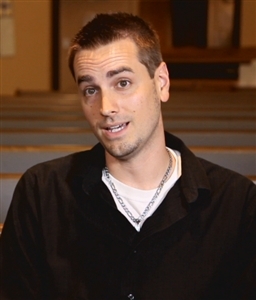 Louis Tamburro III will never forget sitting in a meeting with church leadership when he first arrived at St. Andrew United Methodist Church in Titusville five years ago. Tamburro looked around the table and asked a very simple question that left the group stunned. He wanted to know the vision of the church. “It was quiet,” Tamburro recalled. “I looked at my watch. Two minutes went by and there was dead silence. I knew these people were exhausted. I knew they were beat up and discouraged. They were heartbroken. 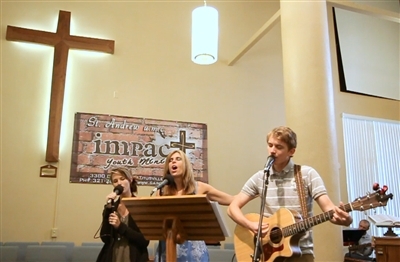 The worship team at St. Andrew UMC helps fuel the growth of the congregation, despite the economic downturn. That is exactly what has happened. A church whose membership had dwindled to 67 has grown to 200, with several vibrant ministries and local and global missions. The church also is planning to launch a second Sunday morning service in August. The growth is happening despite being located on the troubled Space Coast, a community struggling to find its identity after NASA’s Kennedy Space Center launched its last shuttle on July 8, 2011. When the shuttle program ended, more than 8,000 people lost their jobs. An important part of preparing St. Andrew to comfort and receive people of the community was creating a mission statement to steer the church toward its goals, Tamburro said. The mission statement, taken from Matthew 28:19-20, is the foundation for The Journey, a four-step approach to discipleship. First, members must reach up to God and out to others through worship. Once they achieve that, they are built up through study groups. Then, when they are grounded in the faith, they are sent out to serve so that the church may continue to reach, build and serve others. The final component is financial giving. People interested in becoming members must take a three-week class, after which they have two months to decide if they wish to commit to the four areas of The Journey. During those two months, each participant is paired with an existing church member, who shepherds the person and tracks his or her progress through the course. “We are raising expectations,” Tamburro said. 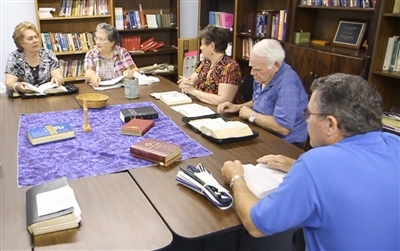 Currently, about 45 percent of members participate in small groups and 36 percent in Sunday school each week. Despite the success of The Journey, Tamburro is quick to say the real reason the congregation is growing lies elsewhere. Tamburro said he will not water down the scripture so that the word of God becomes superficial. Not only has Amber Witters’ faith grown deeper since joining the church four years ago, but she has answered the call to ministry. Now a first-year seminary student, she, her husband and two sons were invited to an Easter service by Witters’ mother, who is a member of St. Andrew. Witters said the family immediately knew it was their church home. She said watching the congregation grow has been exciting, but there’s a bigger draw. Gene Gray knew he wanted to be part of the church after he visited five years ago at the urging of someone who knew he would be impressed with the fiery preaching style of Tamburro. “It was exciting to hear the passion of this amazing young man,” said Gray, who is now the church leadership chair. Small group study is another part of the success of St. Andrew. Tamburro said he plans to keep preaching the gospel and returning people to the word of God. The pastor said he wants members to come to church out of love for God, not because they feel obligated. To see a video about St. Andrew's journey, click here.